One of the most renowned riflemen from the American Revolutionary War (1775 to 1783) was Timothy Murphy. He served as a scout and sniper during the war and is credited with having been highly skilled as a marksman in several battles, often playing a crucial role in American victories. He was of Irish descent and is a good example of the part played for the cause of Liberty by Irish Presbyterians whose origins were in Ulster. 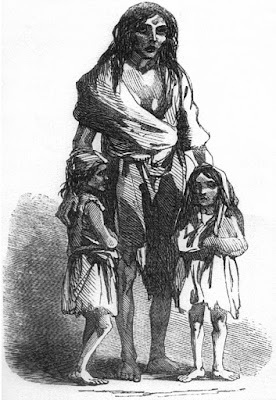 Sometimes called Scots Irish or Ulster Scots, these people suffered under British tyranny in Ireland under the Penal Laws and fled to colonial America for a better life. 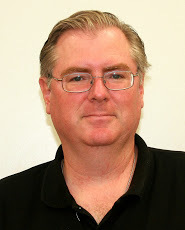 Timothy's parents were both from Donegal in Ireland but immigrated to America and settled in Pennsylvania when Timothy was young. He grew up in rugged, frontier country and learned to live off the land and use a rifle both for hunting wild game for food and as a defense against Native American Indian raids. The frontier lands were disputed between European settlers and indigenous tribes, as the Europeans often encroached on Native American territory. When the Revolutionary War broke out in 1775, Murphy and his brother joined the American forces besieging the British troops at Boston, Massachusetts. 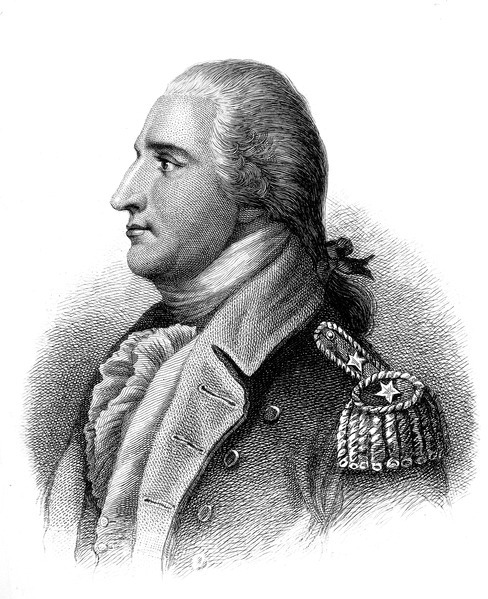 Timothy fought in the battles around New York City as the massive reinforcements of British troops almost destroyed Washington's army and quickly ended the revolution. Rifles in those days fired a round lead ball from a barrel which have grooves in it which made the ball spin, going straighter and farther than a ball from a musket, the typical weapon of a regular infantry soldier. The musket could be fitted with a bayonet and because it was smooth-bore, it could be loaded faster than the grooved rifle. The rifle, however, had the advantages of greater accuracy and range -- muskets being accurate in battle only up to about 50 yards to 100 yards, while rifles could accurately hit targets at ranges of 200 to 300 yards. As Murphy's reputation became known, he was admitted to an elite group known as Daniel Morgan's Riflemen. Dan Morgan was a tough, smart, and daring leader who specialized in troops using the long rifle. His men were deadly accurate with their weapons. 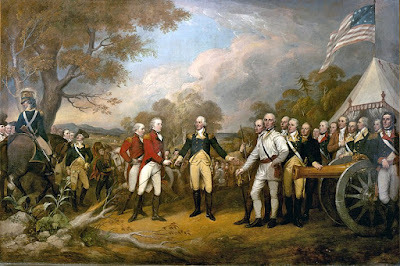 In the Autumn of 1777, Timothy Murphy was selected by Dan Morgan to be in a crack unit to join the American forces assembling for the Battle of Saratoga in New York state near Albany. This battle proved to be the turning point of the entire war. The Americans under Horatio Gates defeated the British and their German Hessian allies in two battles -- Freeman's Farm and Bemis Heights -- which together are today known as the battle of Saratoga. 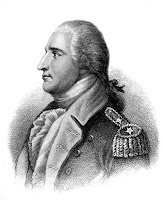 Oddly enough, the real American hero of the battle was the man whose name later became synonymous with the word "traitor," General Benedict Arnold. 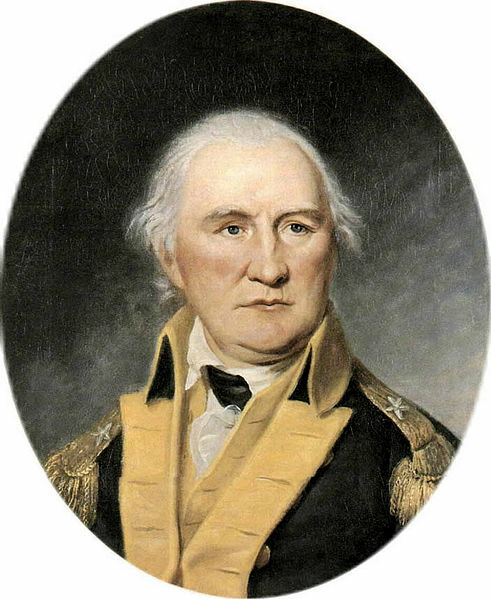 At Bemis Heights, while Gates wavered, Arnold personally led a daring charge, rallying the Americans and crushing the British. Arnold was seriously wounded in the leg, but he did not get the proper credit for this victory from Gates or Congress. Whatever the case, Fraser was indeed killed on the battlefield probably by a marksman, and possibly by Murphy. Murphy allegedly also shot and killed another British officer named Sir Francis Clerke at Bemis Heights, throwing the British into confusion and disarray. 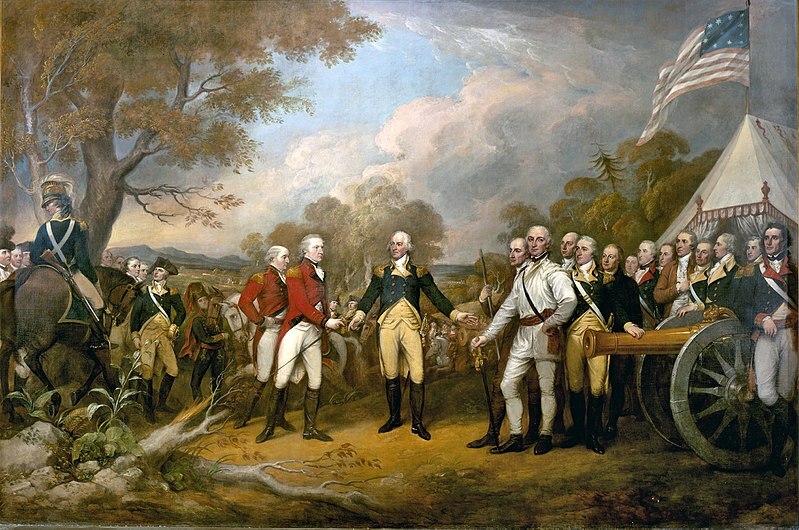 With the situation seemingly hopeless after Benedict Arnold's charge and the loss of key British officers, the British leader, General "Gentleman Johnny" Burgoyne, surrendered. Murphy was also at Valley Forge for the brutal winter where Washington's army suffered from hunger, lack of supplies, and freezing weather. Murphy distinguished himself in skirmishes and battles against pro-British Tories and their Native American allies on the frontier in New York. 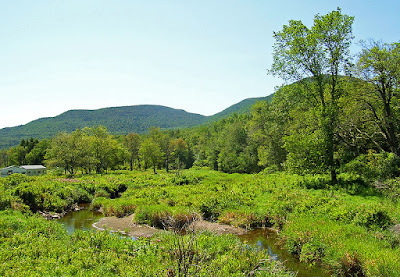 In New York state in 1780, in the Schoharie Valley, a source of vital grain and food supplies for the Americans, at the Defense of the Middle Fort (near present-day Middleburgh, NY), Murphy used his rifleman's skill to help the Americans win. Murphy steadfastly refused to surrender the fort to the invading British over the objections of his American commander who wanted to give up. The British invaded the Schoharie region aided by Tory troops (Americans loyal to Britain), Hessians (German mercenaries), and pro-British Native American Indians. They planned to destroy the crops and food supplies in the area, while eliminating any American forces there. The Americans had only a few troops there, mainly composed of local militia. Murphy and the other American militiamen put up such a fight that the British eventually withdrew. 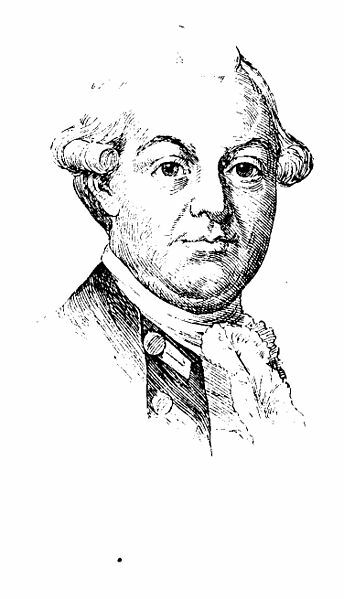 The commanding American officer, a regular Army officer named Woolsey who wanted to surrender, eventually relinquished command to the militia leader. But it was Murphy's refusal to surrender that led militia to stand and fight and win. 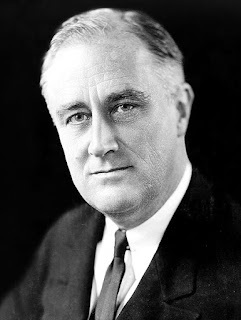 He reportedly fired rifle shots over the heads of the British truce party seeking to offer surrender terms to the Americans in the Middle Fort. Murphy's heroic stand made him a local hero to this day in that part of New York state. Murphy later served with General Anthony Wayne and fought at the siege of Yorktown,Virginia in 1781, where Washington defeated British General Cornwallis, effectively winning the war for the Americans. Murphy died in 1818 in New York state. A frontiersman, he never learned to read or write; but he played a key role in the history of America. The Ancient Order of Hibernians, an Irish cultural society, memorialized Murphy with a plaque in 1913 at the site of the Battle of Saratoga. The state of New York in 1929 also put up a memorial to Murphy at the Saratoga battlefield. The man who was then governor of New York state made a speech on that occasion. Some of his words were as follows: "This country has been made by Timothy Murphys, the men in the ranks ... Our histories should tell us more of the men in the ranks, for it was to them, more than the generals, that we were indebted to our military victories." The governor of New York who made that speech was Franklin Delano Roosevelt, who would later become president of the United States. 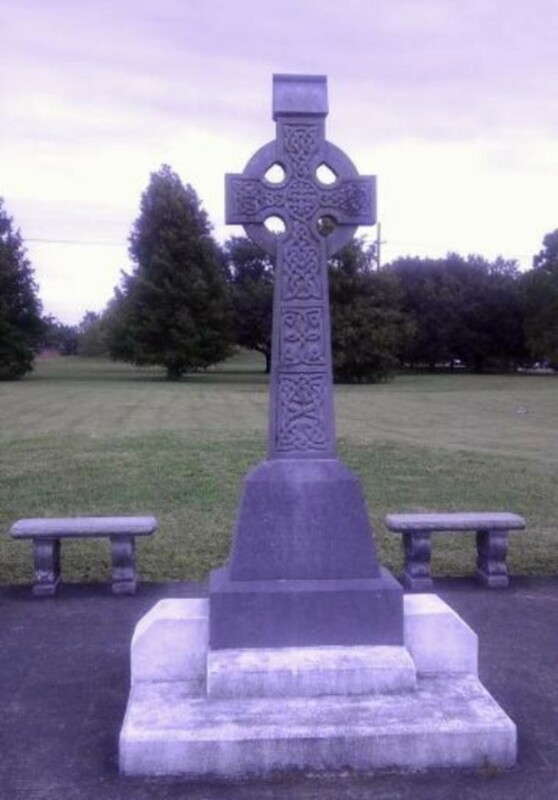 Timothy Murphy, a descendant of the Irish, was an American hero. 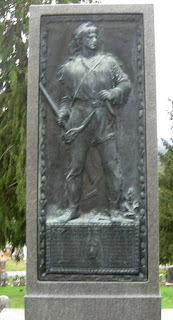 "Timothy Murphy: Frontier Rifleman: New York State Military museum; Murphy at wikitree; photo of Murphy monument; Murphy at Irishcentral; Wikipedia article on Timothy Murphy. AOH article on Murphy.